The SCSRC is accepting nominations for 2019 Practitioners of the Year in Education, Clinical, and Leadership. We are also seeking to recognize one Department of the Year. The SCSRC would like to award three (3) scholarships to Entry-Level students in a Respiratory Care program within the state of South Carolina. Lastly, we are excited to award two (2) Trish Blakely Higher Education scholarships this year. The SCSRC is excited to announce a new Practitioner of the Year in honor of the late Garrett Galloway named Garrett Galloway Outpatient Leadership. Focus on Respiratory Care Leaders in outpatient PFT labs, post-acute and long term rehabilitation facilities, home care and DME, pulmonary rehab, sleep, and LTACH. Please, spread the word and nominate a colleague for this honor. These awards and scholarships will be presented at the Annual Business Meeting during the Annual SCSRC Conference in Myrtle Beach, SC. This year’s conference is scheduled for September 3-6, 2019. 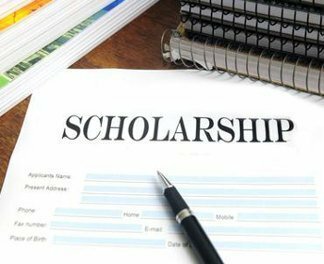 If you would like to nominate your department, colleague, or you qualify for one of the scholarships, please download the appropriate application, complete it and submit it to scholarships@scsrc.org. The deadline for all of these applications is June 1, 2019. We are excited to recognize your department and RTs for their amazing work, while supporting SC’s future RTs. We cannot wait to hear from you! SCSRC 2018 Awards and Scholarships Announced!